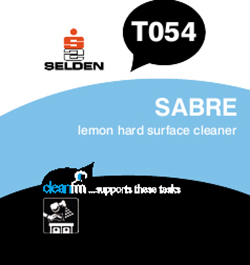 A handy hard surface cleaner to rapidly cut through grease and grime leaving a tangy lemon fragrance. Ideal for use in hotels, schools, recreational facilities, nursing homes, public transport, and as an all purpose neutral cleaner. Composition An aqueous buffered blend of low foaming nonionic and anionic surfactants, perfume and dye.